Buying a suitcase should be fun and not tiring. But, with all the different brands on the market, sometimes it can be hard to make a final decision. I've already talked about pretty much every Samsonite out there - they are safe, but they are a little bit boring. If you are looking for something refreshing and exciting, then why not consider getting a Travelpro suitcase, or a Tumi one. Both brands have rich histories, and they've been around for a while. Travelpro is favored by many cabin crew members from all over the world. They make affordable, but durable and high quality luggage. Tumi, on the other hand, is definitely not for everyone. But if you are looking to spoil yourself a little bit, then you definitely need to get one of their suitcases. They might be pricy, but that is totally justified with their amazing features and incredibly long life. A debate as old as time. Both types of suitcases have their benefits but it ultimately comes down to your personal preference. Softshell luggage is often lighter and cheaper, but it is not always the best choice if you are travelling by airplane. 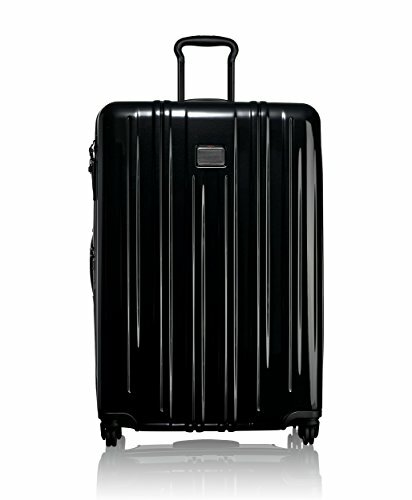 It is not as durable as hardshell luggage, and it’s not really built to endure the treatment of baggage handlers. However, if you are travelling by bus or train, then you will be fine with a softshell suitcase. 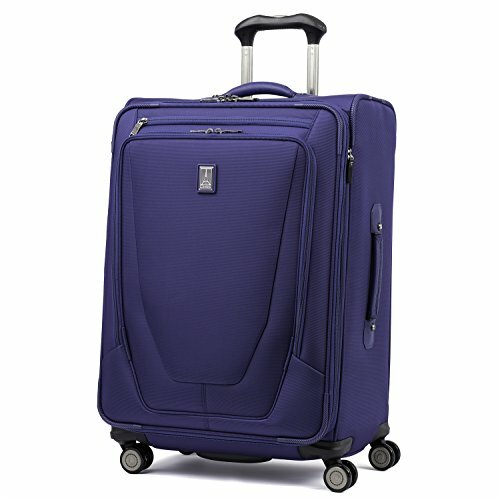 Hardshell suitcases are a much better choice for airplanes, because they are much sturdier and more durable. They do get scratched easily, but you can always protect them with a suitcase cover. And with hardshells you usually have the benefit of the two packing compartments, which really helps with organization. 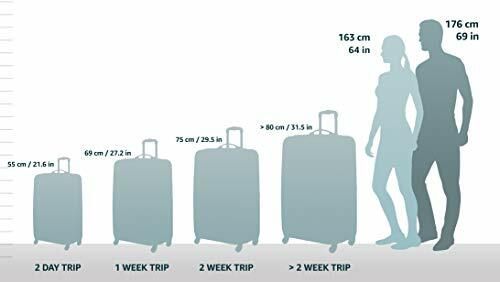 When choosing a suitcase, you need to pay attention to two things – dimensions and weight. I will tell you those things about each suitcase in the beginning of each section, so be sure to pay attention to that part. Also, most suitcases are available in different sizes, and I will try to show you all the available options for a specific suitcase. The dimensions of a suitcase are important because they distinguish between a carry on and checked baggage. Most airlines accept 21” suitcases (and some even 22”) as carry-ons, while everything larger will have to be checked. The weight of the suitcase is important because there is a 50lb limit on checked luggage. If you go over that, you will have to pay additional fees, and those can get expensive. But for in cabin luggage, most airlines don’t have a weight limit. So, pay particular attention to the weight of the suitcase if you are look to buy a 22”-31” one. The general suitcase rule is the lighter the better – a 31” suitcase can often be as heavy as 10-15lbs. That leaves you with 35-40lbs to pack all of your items, which might not be enough for a very longs trip. And it can also be as lightweight as 5lbs, if it is made of the right material. But you should be aware that really lightweight suitcases are often also very expensive. There is a significant difference between these two brands when it comes to their prices. 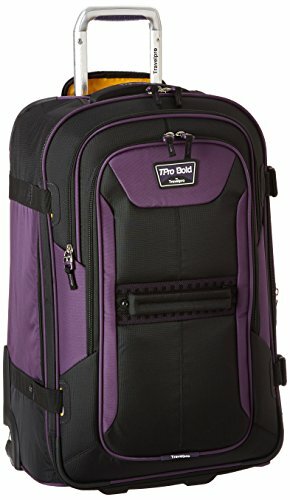 Travelpro is the more affordable brand of the two, and if you have a budget you should to stick to them. They make good luggage at reasonable prices, which is not too common in today’s market. 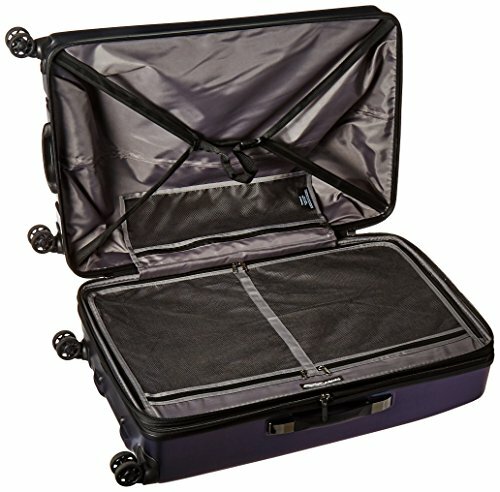 So, if you are not looking to spend $500 on a suitcase, definitely stay in the Travelpro half of the review. 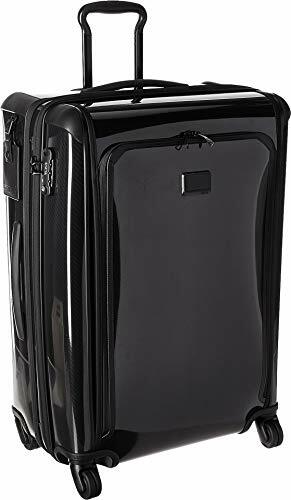 Tumi on the other hand makes luxurious luggage that not only looks stunning, but is also incredibly durable and well made. If money is not an object, you should definitely consider getting a Tumi suitcase. You will use it for years, if not decades, and everyone at the airport will be a little bit jealous of you. 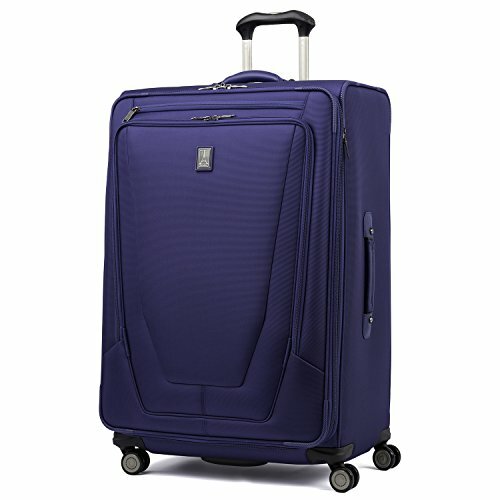 In this section, we are going to check out the best and most popular suitcases by Travelpro. Fun fact about the brand - it was a pilot who invented their first ever piece of luggage! Since then, Travelpro prides themselves in manufacturing luggage for not only travellers as yourself, but also for thousands of cabin crew members from around the world. Their suitcases are very affordable, and there's something for everyone. We are going to take a look at two very popular hardshells and two softshells, and I'm sure you'll se something you like! 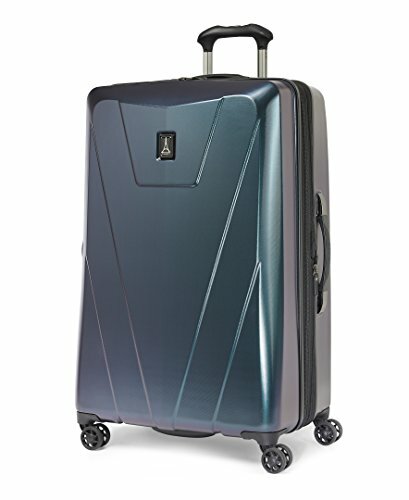 The unique thing about this suitcase is its ChromaShift shell. It is lightweight and scratch resistant, and it even changes colors – just like holographic nail polish. The color shifts depending on the light and the angle you are looking the suitcase, and it’s bound to attract some envious glances. But the Maxlite is not just a beautiful suitcase. It is also very practical with its double spinner wheels and telescopic aluminum handle. Rolling it around the airport will be a breeze, and you won’t ever have to worry about sore arms again. It also features a TSA friendly lock, which is very important if you travel to the US frequently. The Maxlite suitcase opens up into two packing compartments. There is a zippered divider with two mesh pockets on one side, and elastic tie down straps on the other. So, it has a pretty standard interior, but with one cool addition to it – it’s expandable by 2”. It’s always great to have to option to expand your suitcase a little bit, especially if you tend to do a lot of shopping on your trips. 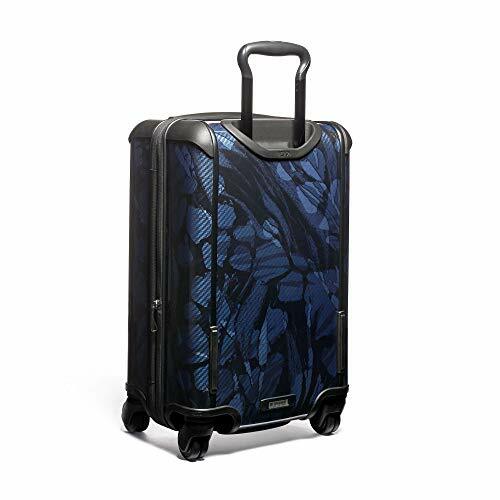 Overall, it is a pretty regular hardshell suitcase – it doesn’t lack any important features, and it definitely stands out with its holographic color. You can choose between three sizes, and you can see those below. 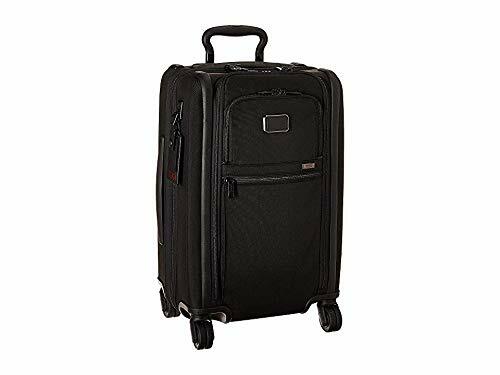 Dimensions: 25" x 16.75" x 11.25"
Dimensions: 29" x 19" x 11.75"
If you are looking for a carry on for under $50, then you are in luck - that's exactly what the Skygear is. It is available in two colors, and you can choose between the Silver and Teal. It's currently available only in one size - the 20" carry on. The outside of the suitcase is pretty sleek, but I don't think that's a good thing - with such a glossy exterior, the scuffs and scratches are going to be more visible. 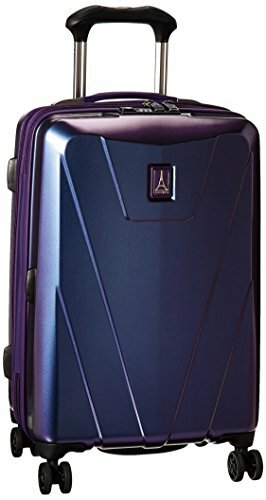 This suitcase is made of ABS plastic, with a polycarbonate film. That is a good and sturdy material, but it's not as good as pure polycarbonate. However, pure polycarbonate is more expensive than ABS, which kind of explains that low price tag. In terms of functionality, the Skygear is pretty standard. It has double spinner wheels, a telescopic wheel handle that locks into several positions, and top and side carry handles. Nothing too spectacular, but it definitely does not disappoint. The main compartment is pretty roomy, and you can fit enough clothes here for a trip of 3-4 days. Maybe even a longer one if you pack really light and know how to save space in your suitcase. One side has tie down straps a a zippered pocket, while the other side of the suitcase has a zippered divider. There are also two pockets on the divider, so it will be pretty easy to stay organized. The downside of this suitcase is that it doesn't have a lock. So, in case you have to part with it, you can't really be sure that no one will try to open it up. This is one of Travelpro's most popular softshell suitcases. It is made of high-density polyester fabric, which also features water repellent coating. You can get in in 3 sizes and 2 colors, so there's plenty of variety to choose from. The Tpro Bold 2.0 features expandable storage, a telescopic wheel handle and skate wheels. That last on is a little bit disappointing, because skate wheels force you to tilt your suitcase in order to get it rolling, which inevitably causes pain in your arms. Just like most softshells, this suitcase has a single packing compartment. But it does have several exterior compartments, which is something I often miss on hardshell suitcases. These are great for packing smaller items you want to have handy at the airport or even in cabin, if you are using the carry on. There is something really cool inside the packing compartment - a waterproof pocket. This suitcase wants you go for that last swim just hours before your return trip, and it has a compartment for your wet suitcase. There are two more zippered mesh pockets in this part of the suitcase, and it won't be hard to stay organized. The downside of the Tpro Bold is that there is no lock on it. And of course the lack of spinner wheels is pretty disappointing, especially since it isn't really that cheap. But you can get the smallest version for less than $100, and if you can get over the few downsides, the upsides really make it great value for money. The Crew 11 suitcase is made of ballistic nylon, which is one of the best materials for travel bags. It's also very popular in travel backpacks because it's very durable and water resistant. It is also pricier than polyester, hence the higher price tag on this suitcase. But there is something very cool about this Travelpro piece of luggage. It has a USB port that allows you to charge your phone or laptop even on the go! This smart suitcase is a great choice for all of you that would like to travel smart. The Crew 11 features a telescopic wheel handle that can be locked into 3 different positions. 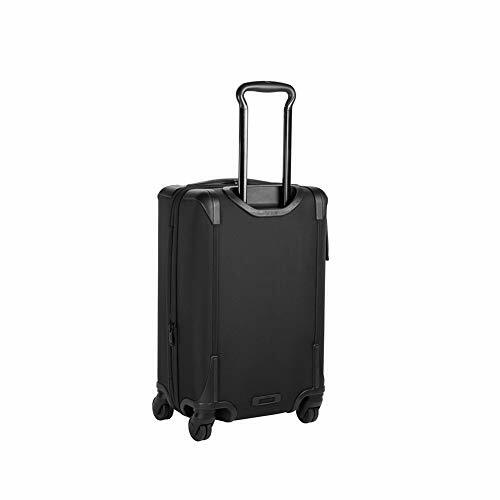 This allows travellers of different heights to adjust the handle to fit them perfectly, and they will need to do so because this suitcase doesn't have spinner wheels. It has plain old skate wheels, and I think that is basically the only downside to it. On the other hand, it does have expendable storage, so there's that. And the inside of this suitcase looks different from what you usually see in similar softshells. There is the spacious packing compartment with two zippered pockets and compression straps, but there's also something special about the lid. It doesn't have just a pocket; in fact it has a built in suit holder. The name of this suitcase comes from the fact that it was designed for airplane cabin crew. They are definitely frequent flyers, and if it's good enough for them, there's no reason it won't be good enough for you. 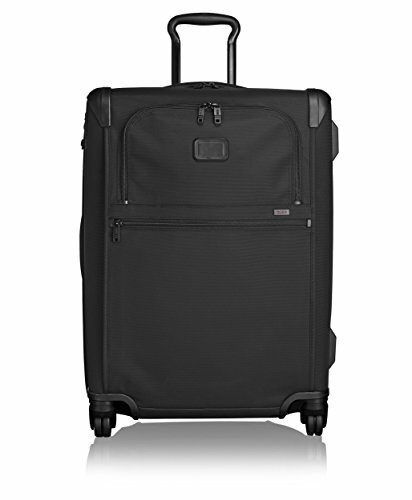 Tumi luggage is probably one of the most luxurious you can find. Their prices are definitely not for everyone, but those that can afford them know perfectly well that they are justified. There is so much thought that goes into their suitcases, from the design of the shell to the details on the zippers inside. A Tumi suitcase will be your travel companion for years to come, and you won't regret getting it. You can check out some of their most popular and best selling luggage in the section below. Just keep in mind that where Travelpro is more for the budget conscious buyer, Tumi is a lot more expensive. The quality is similar, in terms of the raw materials, but Tumi takes things up a notch compared to Travelpro that's for sure. 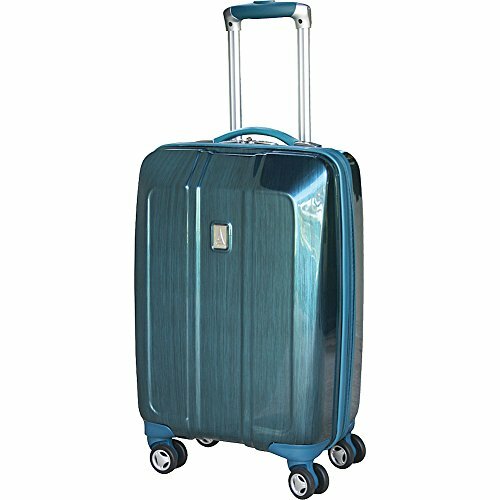 Luggage from the V3 collection is made of polycarbonate, a very lightweight and durable material. It is prone to scratches, but they won't be as visible on these suitcases because of their ribbed shells. 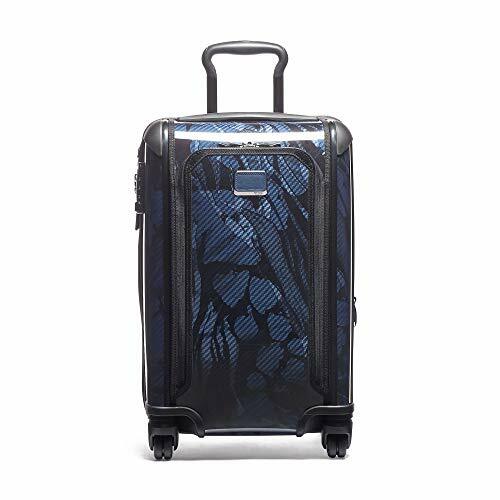 And if you choose a suitcase that has a print design, they will be even less noticeable. 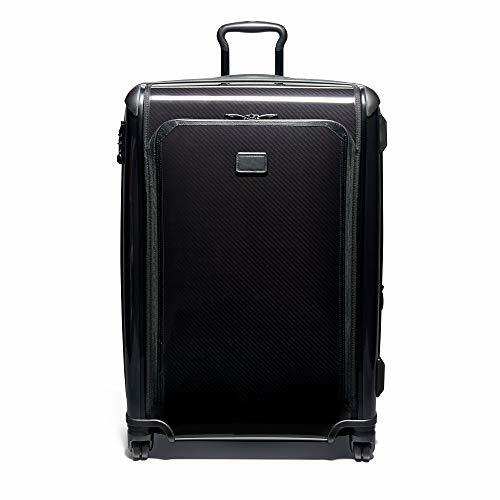 All V3 suitcases are also expandable by 2", and they feature Tumi patented Omega closure. These zipper pullers are designed to break away from the suitcase in case they get caught, and then you can replace the pullers quite easily. You will have TSA friendly locks on all of these suitcases, as well as name tag holders. There are also spinner wheels and a retractable wheel handle that locks into several positions. The luggage is very maneuvrable, and it glides like a dream. When you open up the V3 suitcase, you get two packing compartments. Both are padded all around, and anything you pack inside will stay protected. One side has a zippered divider with a pocket on it, and the other features tie down straps that will hold all of your belongings in place. 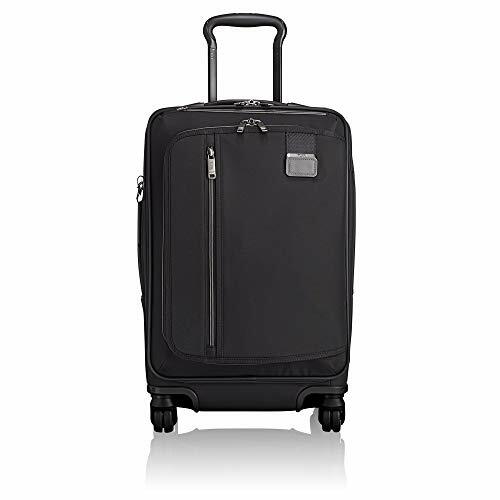 Overall, there is a reason why this is Tumi's most popular luggage. 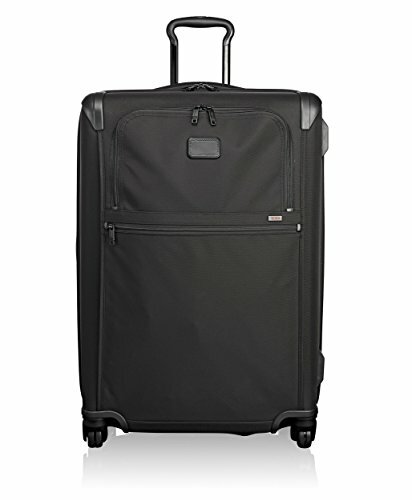 It is lightweight, durable and with Tumi's 5-year warranty, you won't have to worry about anything for a while. The Tegra-Lite suitcases have one of my favorite features - exterior pockets. You rarely see these on hardshell luggage, but I love them so much I would say that they alone justify the high price tag. But, there are some other pretty cool features that help with that. The different colors of the Tegra-Lite are made from different materials. All have fabric lining inside and the shells are made of polycarbonate, Tegris and polypropylene. The shell of the suitcase has a very smart design; if you look closely, you can see that it's not just one color. In fact, there is a small print, which really helps with concealing scuffs and scratches that your luggage gets over time. 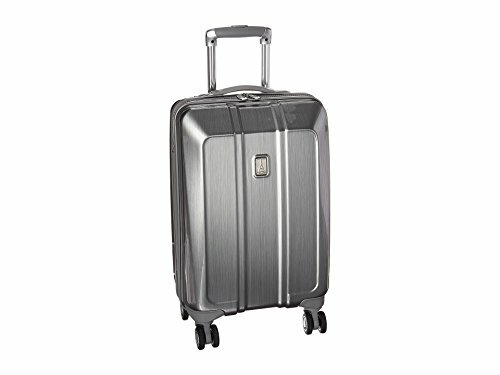 These suitcases have everything you would expect from high-end luggage - spinner wheels, expandable capacity, Tumi name tag and a TSA lock. Oh and there is a telescopic wheel handle that locks into different positions, which allows people of all heights to make it fit them perfectly. Interior of the suitcase consists of two packing compartments, one of which features a suiter section, which will come in handy to all of you that often travel for business. And it comes with Tumi hangers, so you don't have to worry about finding one that fits inside the suitcase. The other packing compartment has mesh compression straps and a large zippered pocket. Overall, I love this suitcase. It is lightweight, sturdy, rolls like a dream and it will last you for many, many years. If you want to know more about it, you can read a review I did a while back. 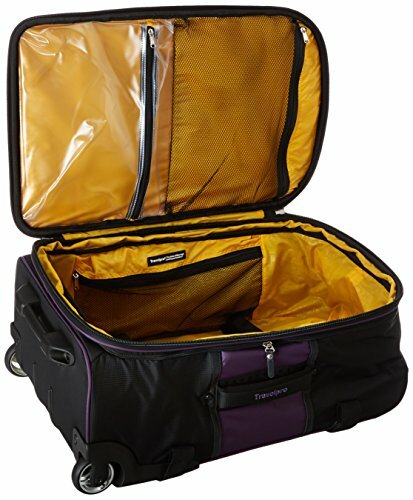 Alpha 2 suitcases are softshell luggage that has two packing compartments. Now that is something you don't see too often! One of those packing compartments is equipped standardly, with mesh tie down straps and a zippered pocket on the side. The other one has a suiter section, which is pretty useful. However, you would have to buy Tumi hangers separately, to really make use of it. Obviously, the suitcase is expandable. It also has two exterior front pockets, which can come in handy for any last-minute items you want to bring along. Or for any items you want to have handy at the airport - ticket, passport, wallet and similar things. The wheels are spinner and the aluminum wheel handle is telescopic and locks in three different stages. 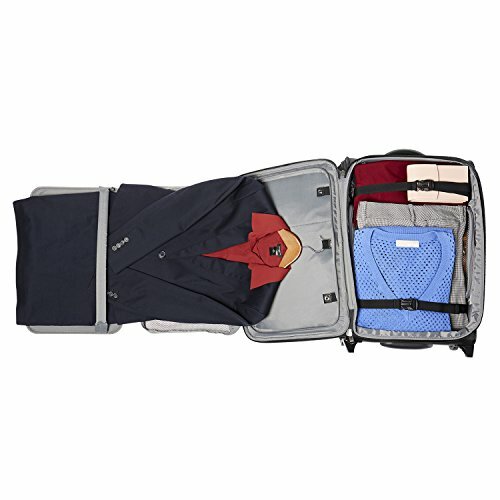 This suitcase also features the add-a-bag strap, which is hidden in the front compartment. And it has a Tumi name tag, as well as the Omega closure zipper pullers - all of Tumi's signature features. I guess the only thing that's missing on the Alpha 2 luggage that would really make it perfect is a TSA lock. For some reason, softshell suitcases rarely have them, even though they are practically a necessity. Unlike the Alpha 2, the Merge softshell carry on has just one packing compartment. But the larger two suitcases have two, so be aware of that difference. They are made of ballistic nylon, one of the best materials for softside suitcases. It is a really durable material, and also water resistant, so you know you clothes will be pretty safe inside the Merge luggage. 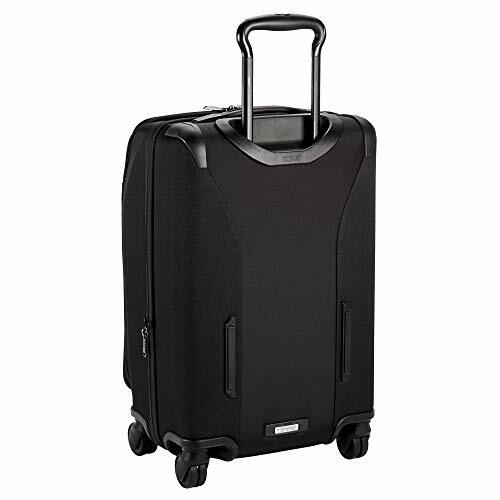 The Merge luggage is expandable, and it features double spinner wheels for easy maneuvrability. Again, there's no lock on the luggage, but there is an aluminum telescopic handle that locks into several different positions. You have three different pockets on the suitcases' exterior, which is awesome. Whatever you initially forget to pack, you will be able to quickly stash into one of them! The interior of the larger two suitcases has a hanger section on one side, which the carry on doesn't have. That's the only difference; all of them have compression straps and quite a few zippered pockets. So, you will be able to stay organized wherever you go, which is something I find to be very important. It’s time to pick the favorites! I’ll pick one softshell and one hardshell from each brand, to at least give you some variety in your choices. But regardless of what I say, you should buy the suitcase your heart wants to, otherwise you’ll never get over it (been there, done that). 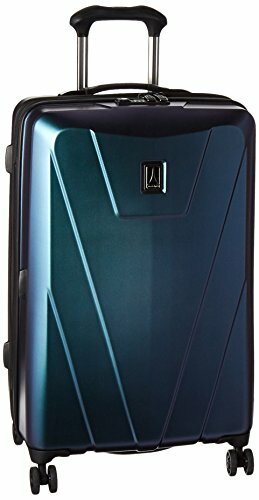 The Maxlite 4 is my favorite Travelpro hardshell. I fell in love with the colors, because they really stand out. If you don’t want to blend in with the crowd, this is just the right suitcase for you. 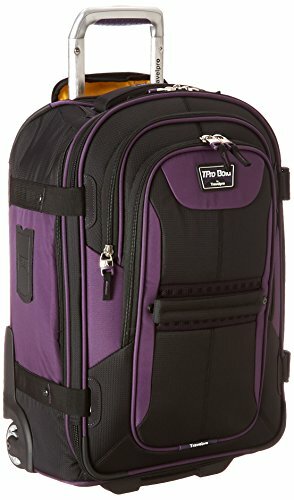 And it has everything good luggage should have – spinner wheels, TSA lock, a zippered divider in the packing compartment, and plenty of other features! The Travelpro Crew 11 is the better of the 2 softshells, I believe. Mainly because this suitcase was designed specifically for cabin crew, and so you know that it will hold up pretty well. And it has a USB charger for your electronics – how cool is that?! Plus there’s a suiter section, which is very convenient if you frequently travel for business. Overall, if you are looking for hardshell, the Crew 11 is a very good choice. Patented Contour Grip provides comfortable control while the PowerScope Extension Handle minimizes wobbling with stops at 38", 40" and 42.5"
And now the Tumis. 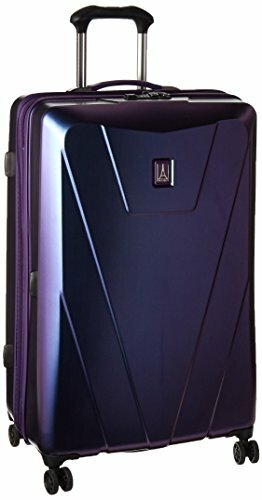 I would recommend the Tegra-Lite hardshell suitcase, because it just has more features out of the two. And the exterior compartment really won me over. It has everything you would expect of a high-end suitcase, from the spinner wheels to the TSA friendly lock. And it’s lightweight and made of high quality materials. A purchase that will stay with you for years. 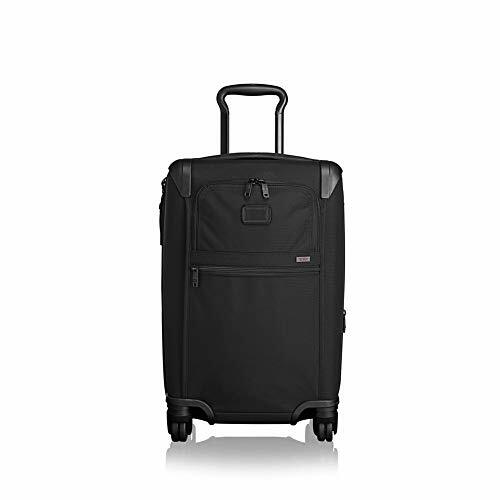 If you want to get a Tumi softshell, I would suggest you buy the Alpha 2 suitcase. It is made of a really sturdy material, it has a lot of different features, and it is expandable. Unfortunately, it doesn’t have a TSA lock, but you won’t miss it if you get the carry on. And softshells rarely have locks, so it’s not really a big deal. If you saw something you liked, I suggest you head over to Amazon. 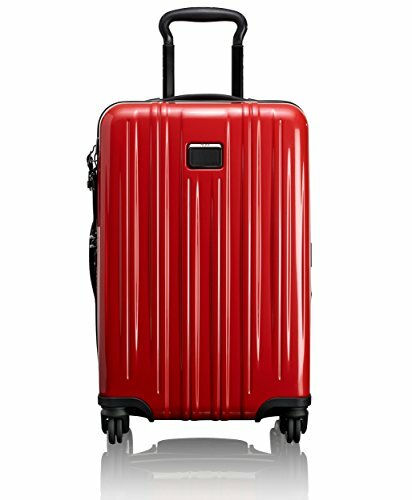 Just click on the suitcase you love the most, and you’ll be able to see all the color options and their prices. Happy shopping!